Behold! 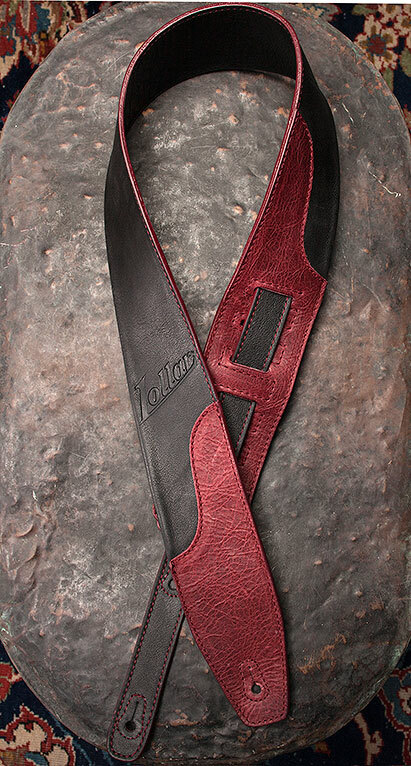 The Lollar Guitar Strap! Like A Rock… a really soft and comfortable rock. Let’s salute the humble guitar strap. It’s an essential accessory, yet it doesn’t always get the respect it deserves. A blend of form and function, it fights the good fight against gravity while you shred away. It also expresses your style. Like a tailored suit or the perfect pair of boots, your strap should be an extension of yourself — so comfortable you almost forget it’s there. We’re obsessed with supporting you on your quest for tone. That’s the Lollar Difference. And now we can support your instrument, too. Literally. 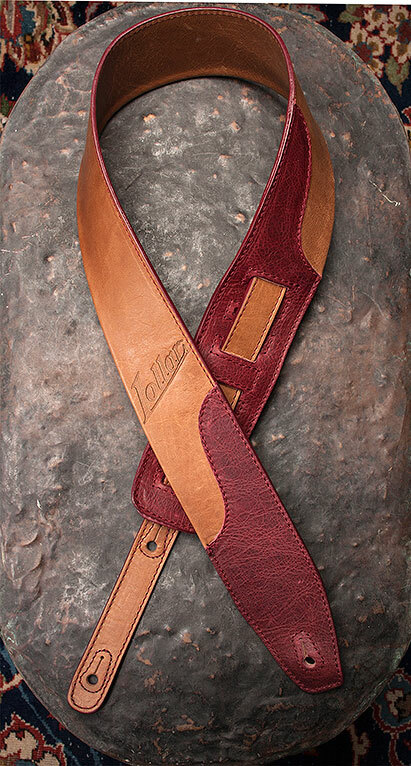 Say hello to our latest creation: the Lollar guitar strap. Made of dyed garment cowhide leather in a small workshop in Spain, they’re hand-crafted with the same precision as our pickups. Some are already calling it the “Lollar of Guitar Straps.” (Ok, that would be us. But still.) Point is, each one is made with pride according to our exact design specs. And due to naturally-occurring inconsistencies in the hide, each strap is one of a kind. We’re mighty pleased with the results and hope you are, too. Available in black or tan with merlot accents and adjustable from 43-57 inches.